A product team at a consumer electronics manufacturer was preparing for the launch of a new product at retailers nationwide and needed to both verify and optimize their retail partners’ in-store execution to ensure its success. They wanted to ensure their retail partners had the item in stock, on display in the store, and accompanied by the appropriate marketing materials; that sales reps were knowledgeable about the new product, could outline its features and benefits, and recommend it; and that this information was striking the right notes with customers. In short, they needed both a quantitative and qualitative in-store audit and mystery shop that could offer data-driven insights into the product launch, the in-store customer experience generated around it, and the support it received from retail channel partners. Focusing on the client’s two largest retail partners, TrendSource leaned on its nationwide Field Agent database to dispatch mystery shoppers to locations across the country. As the client required both qualitative and quantitative information, TrendSource developed and deployed a hybrid mystery shop and in-store audit program in which Agents were assigned one of four scenarios meant to mimic likely customer profiles and journeys. They recorded quantitative data related to the in-store display of the printer as well as qualitative data related to the store rep’s knowledge and recommendation. In total, TrendSource Field Agents performed 600 projects over a one-month period, reporting their findings within twenty-four hours of execution. TrendSource’s analytics department provided the client a reporting site and executive summary, which demonstrated that one retail partner in particular had much room to grow both in terms of keeping the product in stock and communicating its benefits and value to consumers. TrendSource also observed a direct correlation between the product’s availability in-store and sales associates’ knowledge about it. With this information in-hand, the client could take both granular and comprehensive action. When certain locations did not appropriately stock, discuss, and recommend the product, they could intervene on the micro level, approaching the local store and offering to provide more training or assistance in ensuring the product on-hand and shelf-ready. And, when such shortcomings began to trend across a region or an entire retail partner’s stores, they could approach their retail partner with hard numbers, demonstrating a system-wide shortcoming the partner could then address. TrendSource not only provided the client with insight into their product launch, but also provided data they could use when reaching out to their retail partners in such instances. Manufacturers, particularly those lacking a robust Direct-to-Consumer channel, depend on their retail partners not only to offer their goods for sale, but to actively demonstrate their value to consumers. This includes keeping the product in stock and supported by manufacturer-provided marketing materials, as well as maintaining an in-store sales team that is both knowledgeable and enthusiastic about it. In this case, the client utilized TrendSource’s industry expertise and vast Field Agent database to ensure their retail partners supported their product’s launch, and to leverage that information to optimize this support. TrendSource further provided insight into which product benefits were best communicated by sales associates and most resonated with consumers, giving the product development team a roadmap to provide to the training to best present the product. 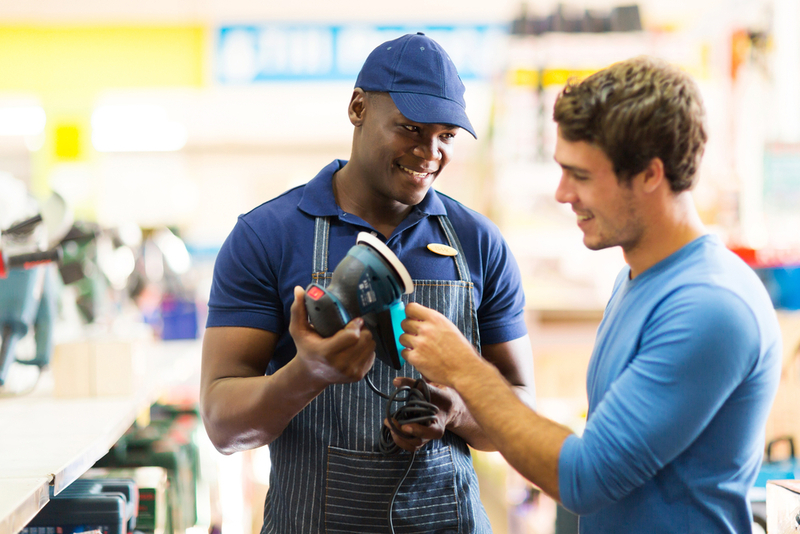 Through a market research mystery shop and in-store audit program, the client’s product team was able to support the launch of a new product, giving it the data necessary to optimize retail channel sales and to provide the training team with a blueprint to best communicate the product’s benefits.